Are you searching for something that can bypass iCloud without any hectic procedure? Want to remove activation lock from your iOS device? Looking for iCloud Bypass tools? Is it possible to bypass iCloud? Well, the simple answer is “YES”. You can bypass iCloud using the best iCloud Backup tools. However, there are several tools available in the market. But not each one is best. Don’t worry we have shortlisted few of the best iCloud Bypass tools. iCloud is an official app by Apple that offers 5 GB Cloud space for storing photo media. People usually want to Bypass iCloud if they have bought a 2nd hand iPhone or trying to set up their phone. That’s the only reason people want to Bypass iCloud. Well, there’s nothing wrong in it unless & until an iPhone is stolen. Well whatever the reason is, let’s go through the top iCloud Bypass tools. iCloud Bypass Tool is one of the best tools in this category. The app is capable of bypassing & unlocking your iPhone. Coming towards the User Interface, the UI is quite easy & comes with decent layout as well as features. However the only disadvantageous side we have found about it “Not so updated”. The tool can help you out if you don’t have recent iOS devices. Previous old iOS versions are compatible. iPhone 6s or lower will work definitely. Coming to the next tool stands Doulci iCloud Unlocking Tool or simply Doulci activator. The tool has got easy User Interface & is nowhere complicated. Also, the tool is capable of unlocking iOS devices within 20-25 minutes duration. Overall a great tool which can support every iOS device version. So you don’t need to worry about the version. Another Bypass tool is iCloudin. Bypassing tool accompanied by tutorial makes it one of the best choices. Best for people who are doing it for the first time because tutorials will assist you. Also, the tool is absolutely free & there are no charges to use it. The tool also supports every iOS version possible including iOS 9.0, 8.0, 8.1, 8, 7.1, etc. Open my iCloud is also an easy to use software that can open iCloud app & is damn capable of unlocking iOS devices within 8-15 minutes. But this tool is only compatible for Windows PC. Unfortunately not built for Mac. Additionally, the tool supports wide iOS versions including the latest ones. 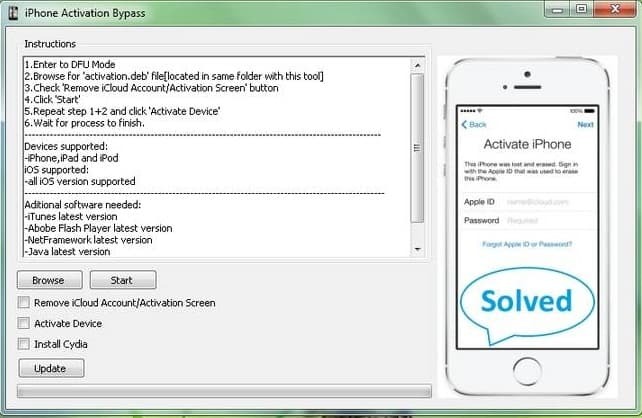 Next contender is iPhone Unlock Tool which is considered as highly professional iCloud Bypass Tool. But the tool is a paid one. The tool is capable of unlocking almost every iOS device. Even the latest iPhone X can be unlocked using this tool, iPad & Apple watches are also not beyond its limit. The tool can remove the iCloud sign-in permanently & lets you create a new one. However being a paid one it’s pretty worth. So don’t forget to check it out. GadgetWide is a similar tool like Doulci iCloud Unlocking Tool. If in case you find Doulci a bit harder or difficult, you can use this as an alternative. GadgetWide has got an easy User Interface. However there’s a disadvantageous side too, you need a Windows PC in order to use it. GW also supports the latest iOS versions. 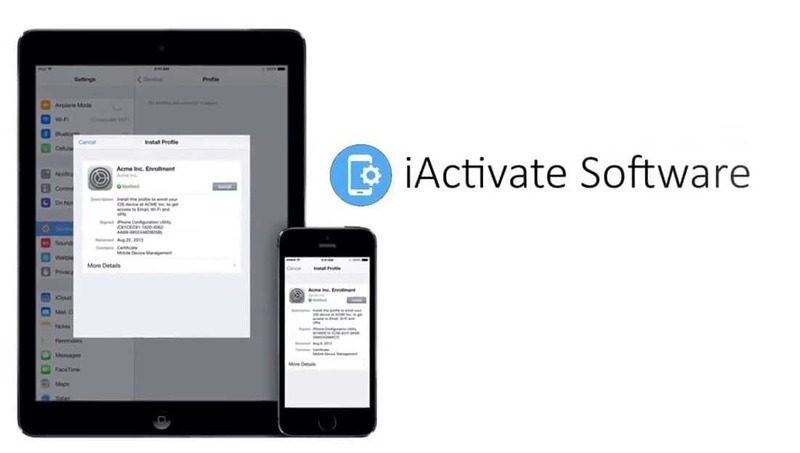 Next comes iActivate iCloud Remove Software which is considered as iCloud Removal Software. The tool is a Windows OS based & is free to use – at least for now. The lock solution allows you to secure & manage your Apple iOS device iCloud. 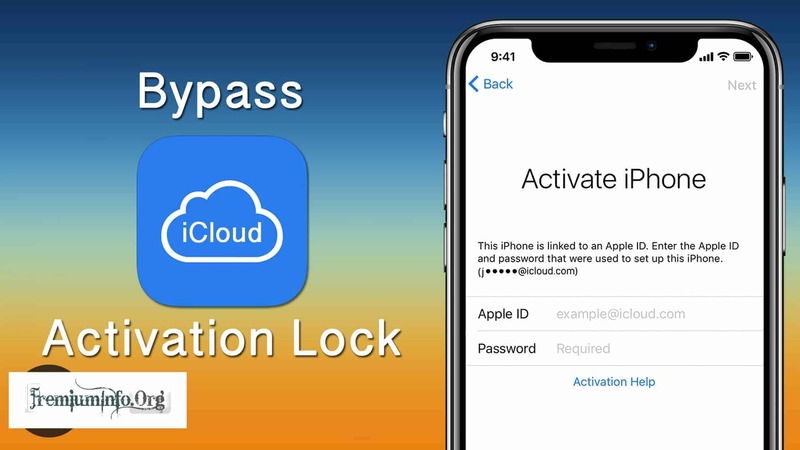 The tool can remove an active iCloud Apple ID from an activated iPhone. Additionally, the model or version doesn’t matter, it will eliminate the ID. Moving for the next tool comes iCloud Remover. The tool works according to its name & is free to use. Just download it & install it, follow their instructions & remove iCloud ID. The tool supports almost every iOS version. However, we cannot assure you about the latest version of iPhone X because the tool is compatible with iOS 9 & lower. Last but not the least stands iPhone 4 Hacktivate Tool. This tool is only recommended for people with iPhone 4 Series. The tool was originally built for the iPhone 4 Series. An easy tool to work with. Just download it & install it. Then put your iPhone on DFU Mode. Now, connect your iPhone to your PC via the USB cable. Just follow tool inbuilt application. 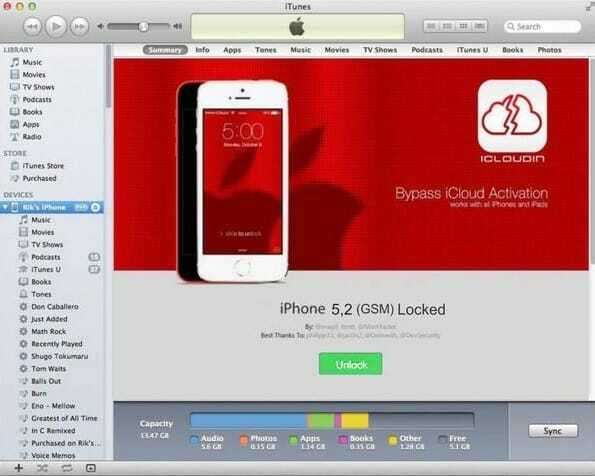 These were the best iCloud Bypass Tools that is capable of unlocking your iPhone. You may go for anyone according to your convenience. Every tool is working & powerful enough. However, if you face any difficulty feel free to ask us via the Comment Section. Wich one is the best according to your experiences? 1 and 2 are best in my experience they work perfectly to Remove iCloud activation lock.